On September 25th our fifth graders will be leaving to attend the High Sierra Environmental Camp. They will return to Golden Hills on Friday, September 28th at 2:45. Please plan ahead to have your child picked up, there will not be buses to transport home. 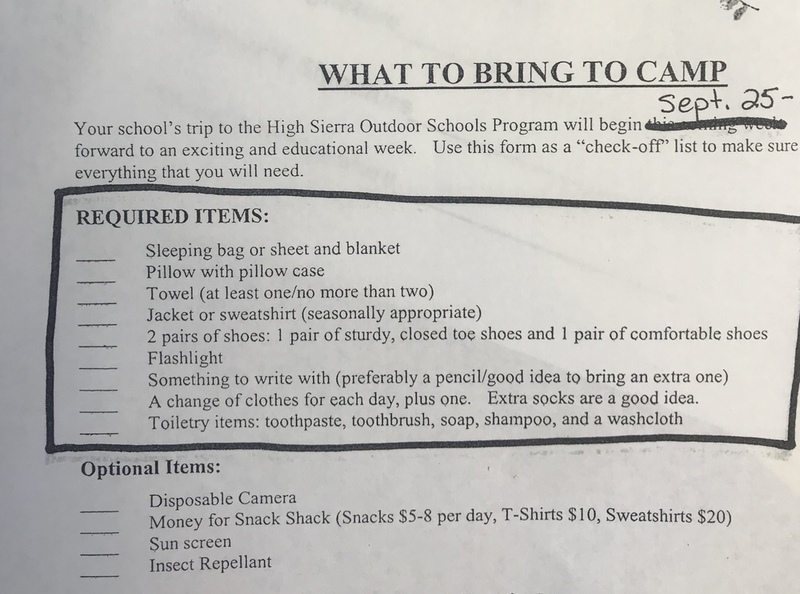 Please use the list in the image to pack for your child. They will be sleeping in cabins and will need a sleeping bag! Please ask your child's teacher if you have any questions or concerns!